…[T]here must be a renewal of Christian education. The rejection of Christianity is due to various causes. But a very potent cause is simple ignorance. In countless cases, Christianity is rejected simply because men have not the slightest notion of what Christianity is. An outstanding fact of recent Church history is the appalling growth of ignorance in the Church. Various causes, no doubt, can be assigned for this lamentable development. The development is due partly to the general decline of education–at least so far as literature and history are concerned. The schools of the present day are being ruined by the absurd notion that education should follow the line of least resistance, and that something can be “drawn out” of the mind before anything is put in. They are also being ruined by an exaggerated emphasis on methodology at the expense of content and on what is materially useful at the expense of the high spiritual heritage of mankind. These lamentable tendencies, moreover, are in danger of being made permanent through the sinister extension of state control. But something more than the general decline in education is needed to account for the special growth of ignorance in the Church. The growth of ignorance in the Church is the logical and inevitable result of the false notion that Christianity is a life and not also a doctrine; if Christianity is not a doctrine then of course teaching is not necessary to Christianity. But whatever may be the causes for the growth of ignorance in the Church, the evil must be remedied. It must be remedied primarily by the renewal of Christian education in the family, but also by the use of whatever other educational agencies the Church can find. Christian education is the chief business of the hour for every earnest Christian man. Christianity cannot subsist unless men know what Christianity is; and the fair and logical thing is to learn what Christianity is, not from its opponents, but from those who themselves are Christians.That method of procedure would be the only fair method in the case of any movement. But it is still more in place in the case of a movement such as Christianity which has laid the foundation of all that we hold most dear. Men have abundant opportunity to-day to learn what can be said against Christianity, and it is only fair that they should also learn something about the thing that is being attacked. From J. G. Machen, Christianity and Liberalism, Eerdmans, 1923, pp. 176, 177. 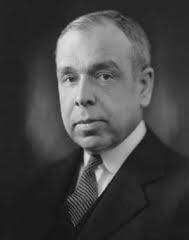 This excerpt from Machen’s Education, Christianity & the State reminds us that philosophical questions are important to Christians, and that philosophy is inherent in the Bible, from the account of the creation of the world forward. What a world in itself the Bible is, my friends! Happy are those who in the providence of God can make the study of it very specifically the business of their lives; but happy also is every Christian who has it open before him and seeks by daily study to penetrate somewhat into the wonderful richness of what it contains. We are told today, indeed, that that is metaphysics, and that it is a matter of indifference to the Christian man. To be a Christian, it is said, a man does not need at all to settle the question how the universe came into being. This excerpt from Machen’s Education, Christianity & the State expresses confidence that scholars will be raised up to meet the intellectual attacks on the Church. Let us… pray that God will raise up for us today true defenders of the Christian faith. We are living in the midst of a mighty conflict against the Christian religion. The conflict is carried on with intellectual weapons. Whether we like it or not, there are millions upon millions of our fellow-men who reject Christianity for the simple reason that they do not believe Christianity to be true. What is to be done in such a situation? This excerpt from Machen’s Education, Christianity & the State argues that we should not avoid becoming familiar with the arguments against the historic Christian faith, but should become familiar with the arguments for it first. It is no easy thing to defend the Christian faith against the mighty attack that is being brought against it at the present day. Knowledge of the truth is necessary, and also clear acquaintance with the forces hostile to the truth in modern thought. At that point, a final objection may arise. Does it not involve a terrible peril to men’s souls to ask them–for example, in their preparation for the ministry–to acquaint themselves with things that are being said against the gospel of the Lord Jesus Christ? …[T]he defence of the faith should be of a scholarly kind. Mere denunciation does not constitute an argument; and before a man can refute successfully an argument of an opponent, he must understand the argument that he is endeavouring to refute. Personalities, in such debate, should be kept in the background; and analysis of the motives of one’s opponents has little place. This excerpt from Machen’s Education, Christianity & the State notes the virtues of honest acknowledgement of differences among debaters, in place of a pretense of agreement. But in defending the faith against the attack upon it that is being made both without and within the Church, what method of defence should be used? In answer to that question, I have time only to say two things. In the first place, the defence, with the polemic that it involves, should be perfectly open and above board. I have just stated, that I believe in controversy. But in controversy I do try to observe the Golden Rule; I do try to do unto others as I would have others do unto me. And the kind of controversy that pleases me in an opponent is a controversy that is altogether frank. Sometimes I go into a company of modern men. A man gets up upon the platform, looks out benignly upon the audience, and says: “I think, brethren, that we are all agreed about this”–and then proceeds to trample ruthlessly everything that is dearest to my heart.